Exkursion ins Café Little Britain. 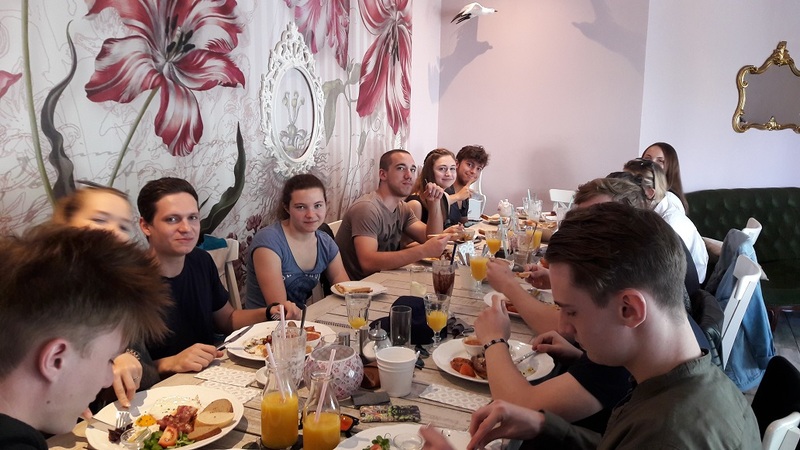 On Friday 20th of April, class 8CS accompanied by Mr. Matthews made their way to the Danube region of Vienna to visit a small “very British” café known as Café Little Britain. 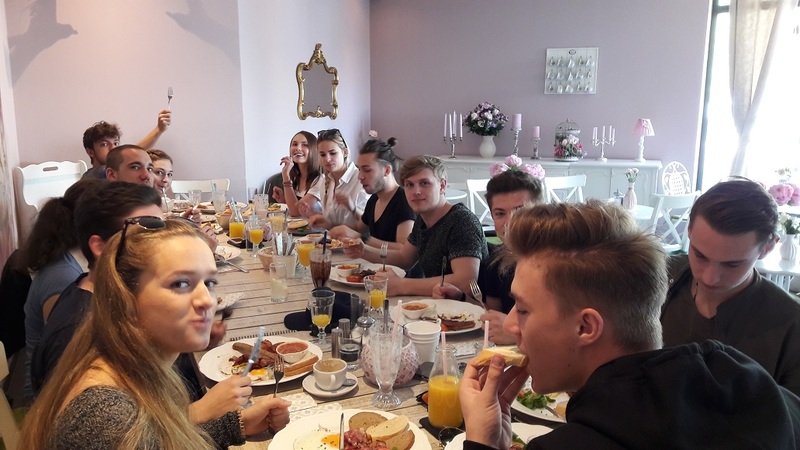 The morning was spent sampling and tasting some rather quintessentially English delicacies such as a full English breakfast with baked-beans, bagels, cakes and of course lots and lots of tea. 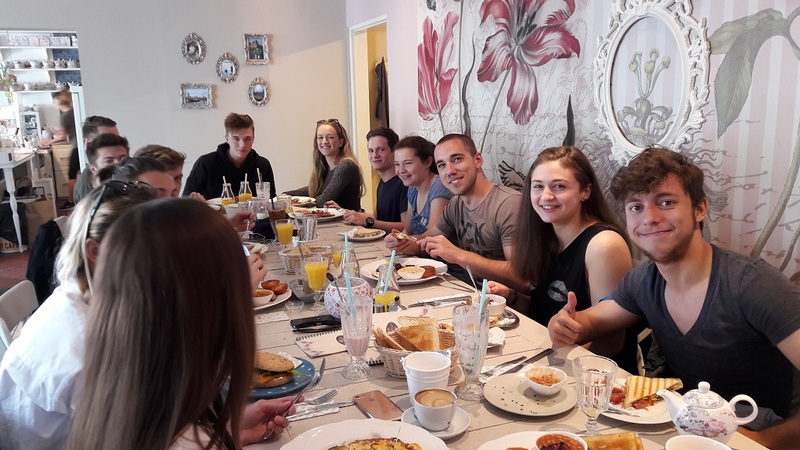 The students also partook in a few English-speaking activities and thoroughly enjoyed a well-deserved relaxing morning before their upcoming Matura examinations.